When it comes to knives, you want to trust the best to get you through any situation, especially if you’re out in the wild and need to defend yourself. Knives have long been in use and were ones of the very first tools ever invented by man to help him stay alive. 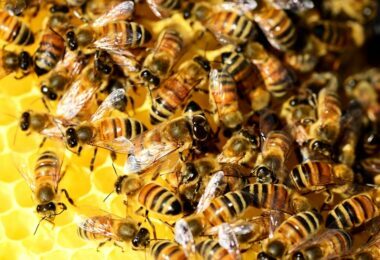 They can be used to skin animals, cut small sticks and twine, and defend one’s self from predators. There’s so many uses for these handy tools, but you won’t get very far if you invest in something cheap. 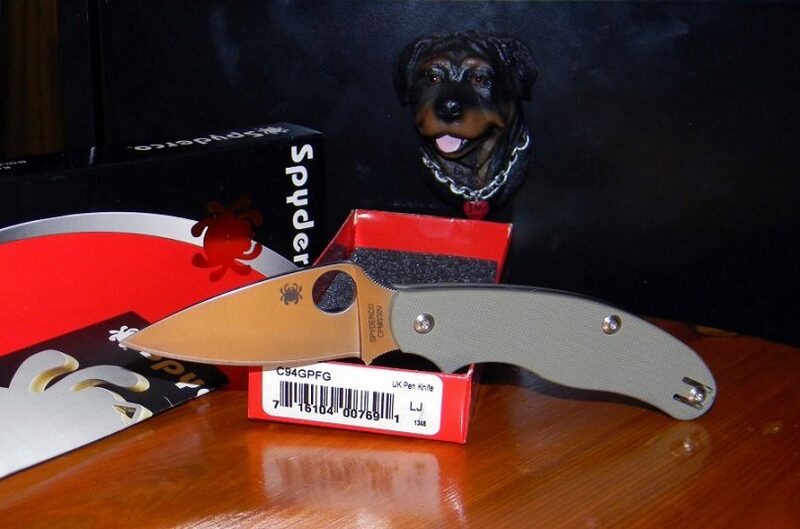 That’s why you should consider looking into the best Spyderco knife on the market so that you know you have something trustworthy at your side. 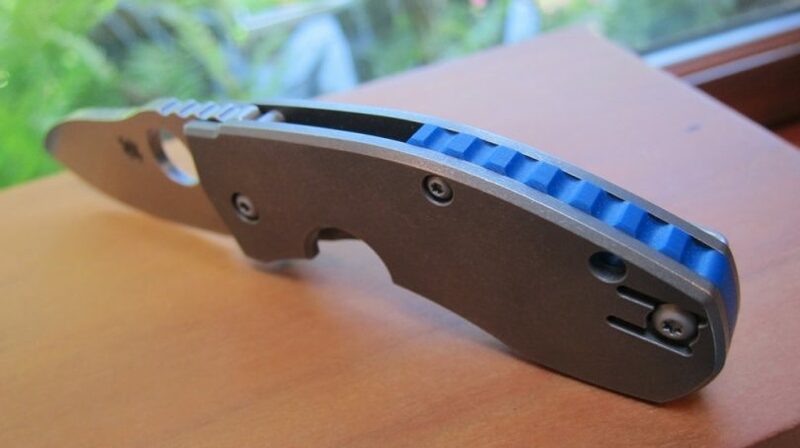 See our article review of the best folding knife to guide you. 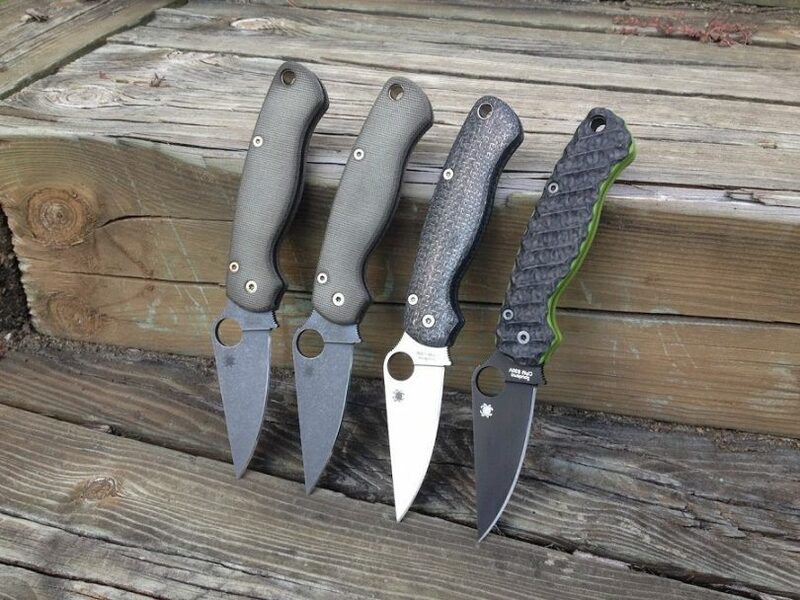 Spyderco is known for their leaf-style knives as well as their aggressive styling that makes them stand out from the rest of the manufacturers on the market. It was originally founded by Sal Glesser in Golden, Colorado in 1976, and the very first item ever produced was known as the Portable Hand. It was made of steel, and was designed to fit in the palm of her hand. 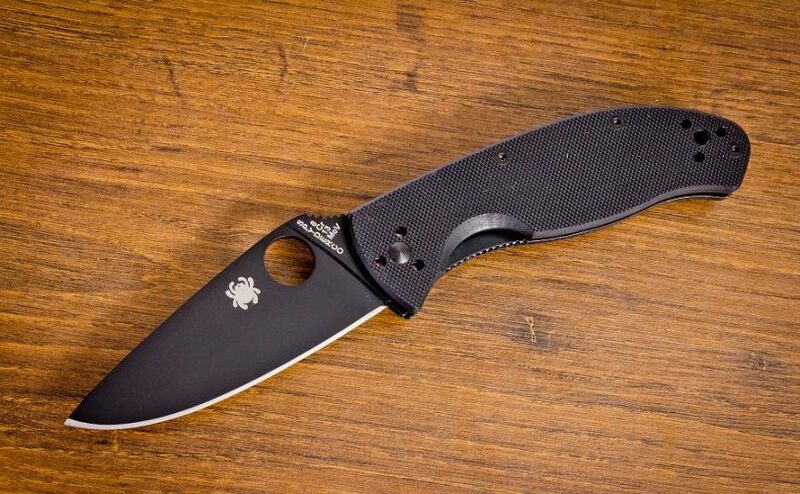 Since it looked vaguely like a spider, that’s where the name “Spyderco” came from. From here, the company went into constructing a variety of knives with plenty of versatility and features. 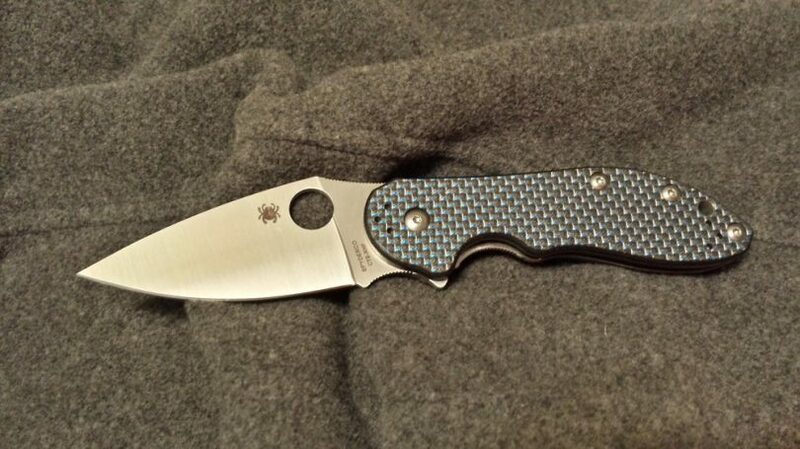 Now it’s time to look at some of the top rated knives that Spyderco provides and have been a hit with customers. This is one of the most highly rated folding pocket knives on the market, and is capable of outdoing even the more expensive knives on the market. It has a 8CR13MOV steel blade, and a G-10 handle. This knife may feel a bit awkward to you at first, as most of the weight is in the handle, requiring some adjustment for those who have never held this kind of blade before. It’s quick to open, durable, and will stay sharp for a long time as long as you care for it properly. One pro to this knife is that it’s extremely easy to sharpen. However, the linerlock system can be a bit troublesome to deal with. Many people discount the Dragonfly 2 has being undersized for many jobs, and that the grip is much too small to accomplish anything, but they would be wrong on this front. The VG10 stainless steel blade is not only light, but it’s sharp and can take care of even those bigger jobs you may think this little knife couldn’t handle. It’s only about 5.5 inches long, and its manufacturing lends to withstanding those tough tasks you’d use bigger knives for. It has a slight curve to it so that it feels comfortable to use and won’t make your wrist suffer from much fatigue. The one downside to this knife is that because of its size, it can easily get lose in bags or large pockets, making it a slight hassle for you to find when you really need it. 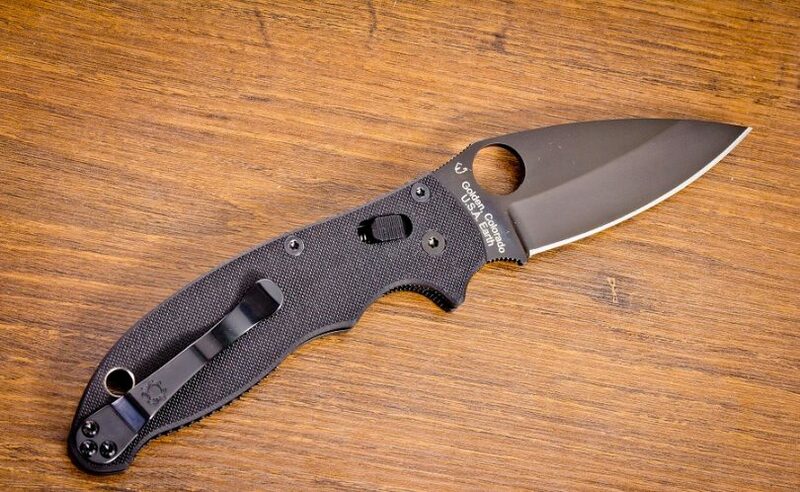 This is the most common choice of blade from Spyderco, and that’s for a very good reason. This is mostly because it is highly resistant against wear, allowing the blade to stay sharp for a long time. It can be used in a wide variety of tasks, from cutting bales on a farm to street fights in the city. It’s versatile, and the spine allows the knife to be used at any angle for any purpose with the risk of losing one’s grip on it. The fiberglass reinforced nylon handle also ensure that it won’t break during use, and can withstand a lot of rough treatment. One downside is that it may end up with play in the blade, but that’s a small consolation for this quality of knife at such an affordable price. It only weighs about 2.5 ounces, making it easy to carry on your person. This knife has the same dimensions as the Tenacious, but it is a little bit heavier. This may have to do with the ball bearing lock that it has to keep your blade in place while it’s in use, but the biggest contributor to the weight is the hollow saber grind and the full liners. The blade itself is made from CPM S30V steel, which is capable of holding a very fine edge as well as being resistant to corrosion. The heavy texturing on the handle provides an excellent grip, which is good for the heavier weight of the knife. 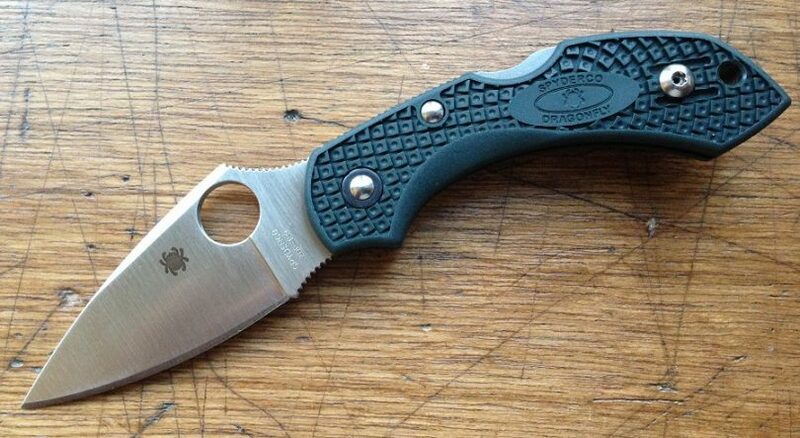 This blade does take up a lot of pocket space, but the lanyard hole can be used in order to keep it somewhere else. If you’re looking for a knife that’s flashy, then this isn’t it. The Sage Carbon is very subdued in terms of appearance with its carbon fiber exterior. But what it lacks in looks, it definitely makes up for in functionality. It has a dreaded linerlock, and the CPF-S30V blade is flat-ground in order to provide exact cutting capabilities. Even after years of use, the linerlock keeps the blade in place so that there are no mishaps of getting accidentally nicked when you have it in your pocket. The knife does allow for use with a pocket clip so that you can always have it at the ready, but having to carry it tip-up all the time limits the choices for the user. This knife was made with the word “tough” in mind, and is used by the police, military, and security personnel to get the job done. It has a lot of jimping for easy handling, but the thumb-hole edges tend to bite against the skin and make it a bit uncomfortable. It does come with a 4-way clip that lets you carry your knife in whatever you want, ensuring that it’s always at the ready when you need it, won’t be in the way of your other gear, and won’t be a hassle to remove. 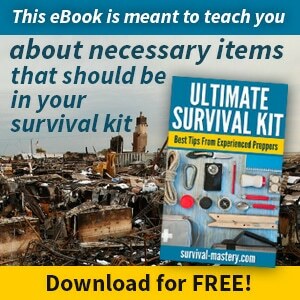 It can be kept on your belt, in your boot, or in your pocket. The Domino is a fast knife to open, mostly because of the flipper opening mechanism. The satisfying feel and sound of the knife being flicked open may get you addicted, and you may find yourself doing it a couple times to know you spent your money in the right place. The blade is made from CTS XHP steel, which provides a nice and exact cutting surface for any job. The titanium scales ensure that it lasts a long time, and the jimping on the handle makes it more difficult to lose your grip, even with bloody or oily hands. This knife is definitely on the larger and heavier end of the scale when it comes to portable knives, so keeping it in your backpack or investing in a pocket clip may be your best bet for this knife. This knife was made with hard jobs in mind, as it is one of the best standard knives that Spyderco has places on the market. The pivot of the knife is smooth and continues to be, even after a lot of use, but you will get hot spots in your hands from using it extensively. The Reeve Integral Lock does keep it in place, and can take a little more effort to get open, but that’s actually a good thing, as the blade is sharp enough to sever fingers right from the hand. Despite all of these features, the knife is slim and relatively lightweight, and comes with a reversible clip that has tip-up carry. You won’t have to worry about being left-handed when it comes to finding a knife that will work for you. 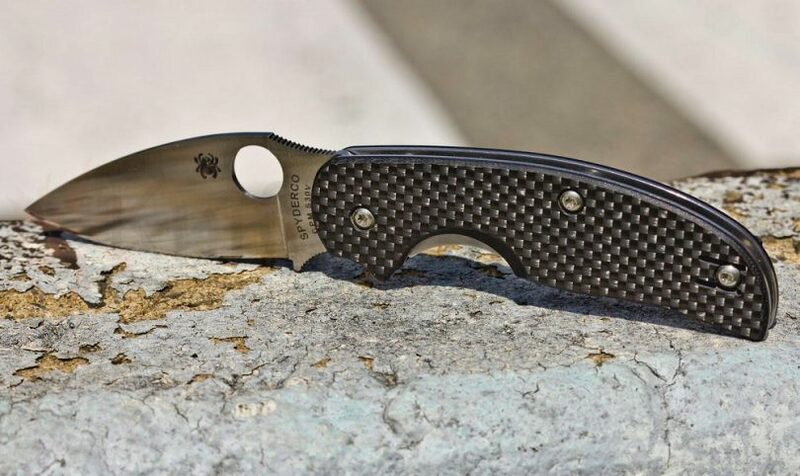 Spyderco has put the time and effort into developing blades that are suitable and comfortable for the smaller percentage of the population. The best knives for left-handers are the Spyderco Delica 4 Lightweight, the Spyderco Dragonfly 2, and the Spyderco Manix 2. They’re all ambidextrous, so there’s never the struggle of having to hold the knife at an awkward angle to get it to work properly. 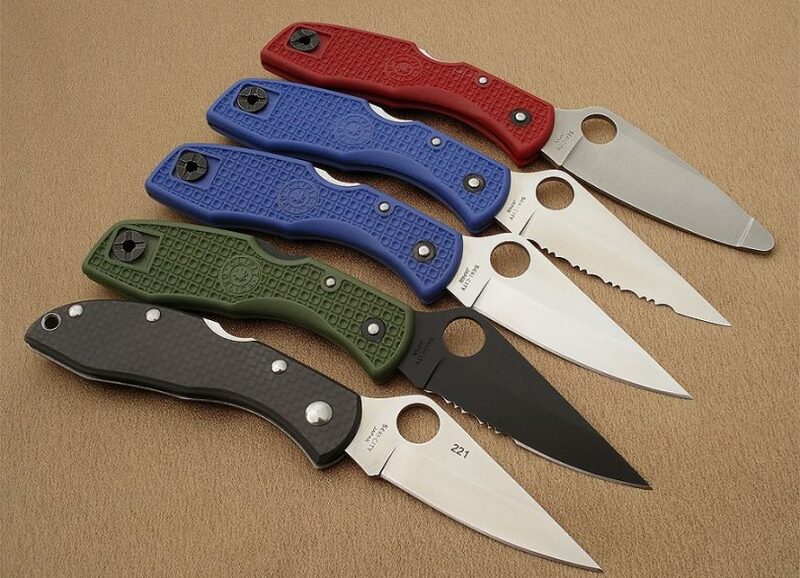 Crafting this versatility in mind is what has kept Spyderco in the market and made them one of the more popular knife manufacturers in the sporting goods world. Having one of the best knives in the world won’t do you any good if you don’t keep it clean and sharpen it on a regular basis. Because they’re designed with only one purpose in mind, Spyderco uses high-carbon stainless steel in order for their knives to stay sharp for a really long time. But even then, being bumped around and being constantly used can start to wear down the edges and make it more difficult to cut through even the easiest of substances, and the longer your blade goes without being sharpened, the more difficult the sharpening process actually is. You can buy one of Spyderco’s knife sharpening tools, send your knife in to them to be sharpened for you, or use your own tools that you’ve practiced with extensively so that you don’t end up ruining your blades. 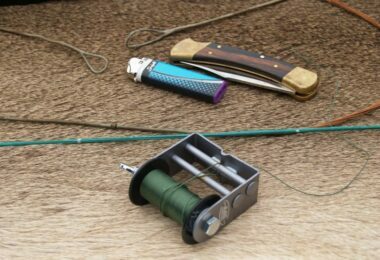 See our list of the best pocket knife sharpener to learn more. Even though stainless steel is rust-resistant, there are some environments that increase the chances of this happening. If you’re using your knife in a saltwater environment, then it’s important that you clean and dry your knife as soon as possible in order to prevent rust from occurring. 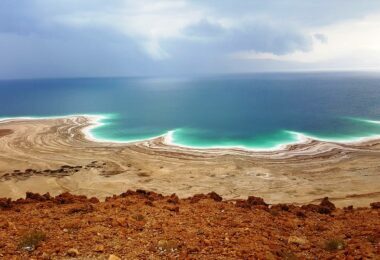 If it does appear, buff the blade with a metal polishing compound and rise the salt water off with fresh water. Dry the knife completely and apply a layer of oil or silicone to the steel parts in order to keep out further moisture. You should also inspect your knife on a regular basis to ensure that it can be used safely in any situation. The wear and tear of interior components is a given, and you should clean both the lock and inside the handle to ensure that the blade won’t snap open without a moment’s notice. This can be done with a toothpick, hot water, and mild soap. Rinse thoroughly, dry your knife and lubricate all of the steel parts as well as the locking and pivotal points. As always, be sure to practice safe knife use, no matter what kind of situation you are in. These knives are designed to be sharp, and although they can look cool, playing with them idly can result in injuries. 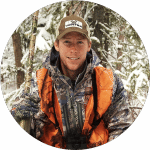 Going to your local sporting goods store can also help you to figure out the best knife for you. The store attendant can let you try out knives to see which would be best suited for your purposes, as well as which ones feel most comfortable. Buying a knife blindly or simply going with the biggest one on the market is a mistake that may lead to you getting hurt. Be safe! Check out our guidelines on knife safety to protect yourself from harm.